Life Without You. Damien Hirst. 1991. Life Without You proposes a layout of shells from exotic places as the desolate emptiness of lost love. 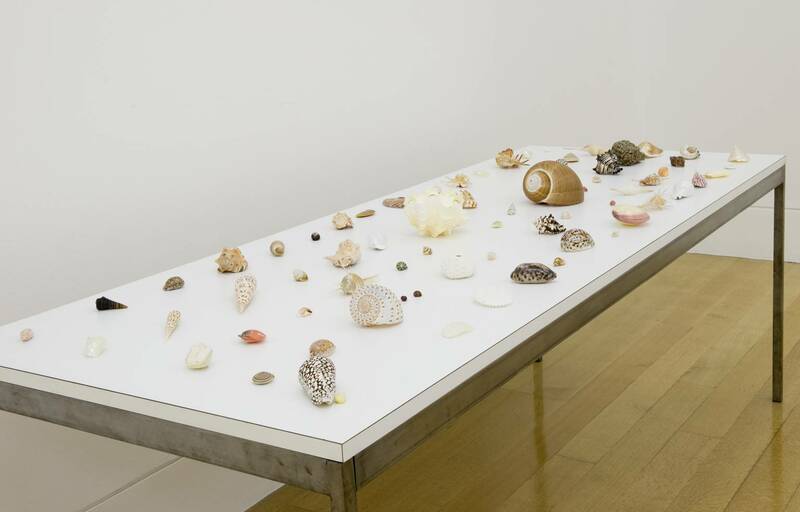 Hirst has said that he likes shells ‘because they once contained life’; this aspect of them is paramount for him. However, although he is presenting a landscape of dead husks, they have already been transformed, through varnishing, into a range of attractive consumable objects, leading to the suggestion, in Life Without You, that the abandoned subject may find consolation elsewhere. The grid in this work is compromised by its variations and exceptions, perhaps allowing some hope despite the bleakness of the implied end. 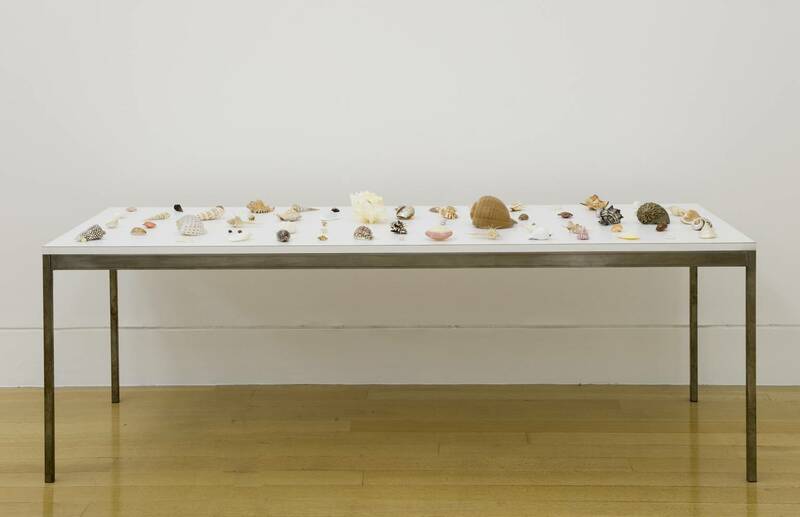 In comparison to works made by Schwitters using found pebbles, a feather and shell, such as Symphony for a Poet, 1940, its collage of humble objects suggesting melancholy and contemplation, Hirst’s table arrangement appears upbeat, clean and colourful, if a little sterile. The aesthetics and tactics of advertising have become central characteristics of Hirst’s work: Life Without You anticipates his later use of them to reinterpret traditionally poetic subjects (love, loss, life, death) in a new language of contemporary art that fuses minimalism, pop and the cult of the commodity. Cildo Meireles was born in Rio in 1948 and grew up in a time of oppression and social turmoil. 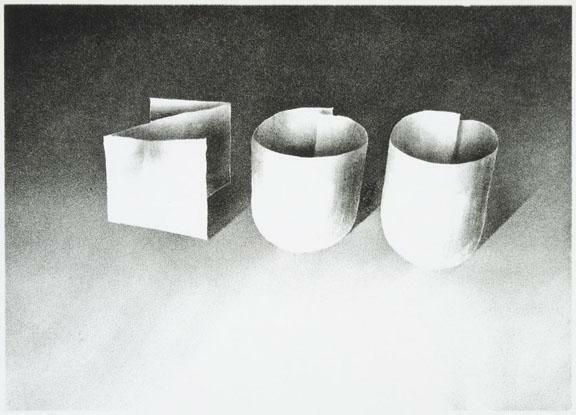 Thus he began his career as an artist by making subtle protest pieces challenging Brazil’s military dictatorship. Later on he became known for his sumptuous large-scale installations which are a roller coaster to the senses. 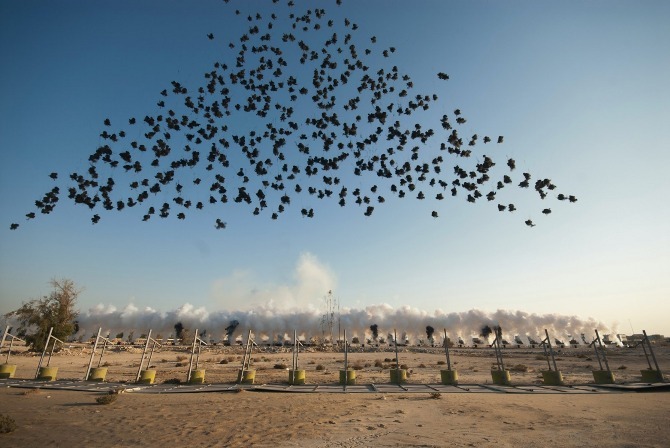 In his installations Meireles allows the audience to interact with the artwork, hold it, feel it beneath their feet, hear it, smell it, and taste it. 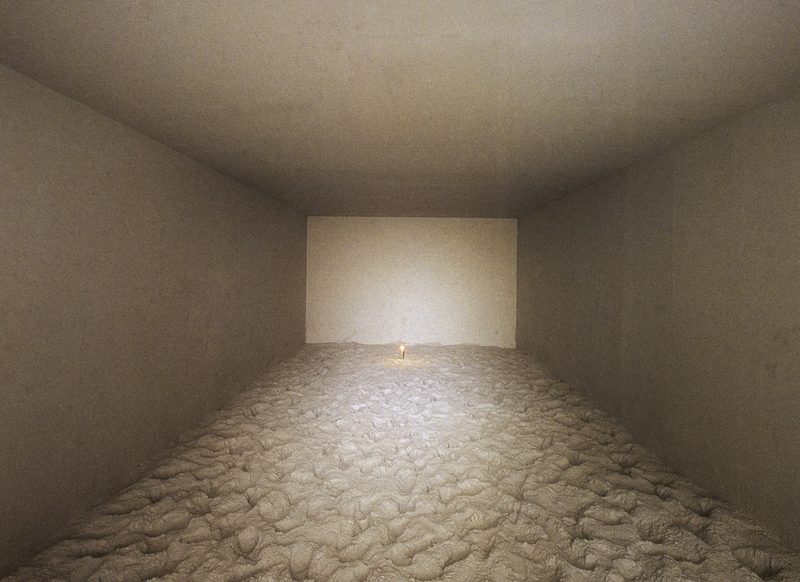 Meireles’ initial idea for Volatile was to have a candle in a bell jar inside a space filled with gas. 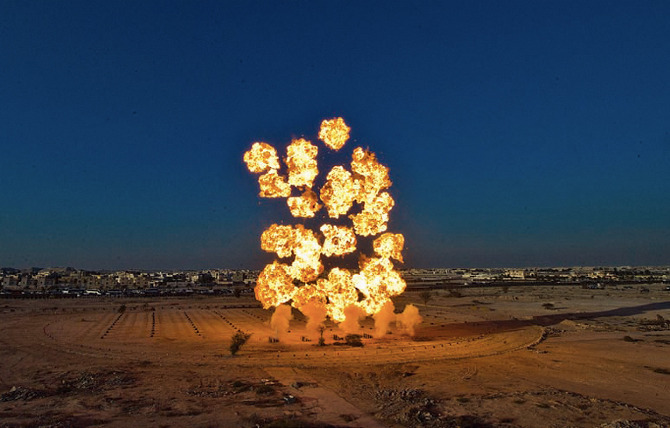 Meireles liked the idea of giving the power of existence to the viewer. Let them answer the question ‘to be or not to be’. As he explained it, “it’s as if I had hung the hammer of reason and you, the spectator, made your decision”. 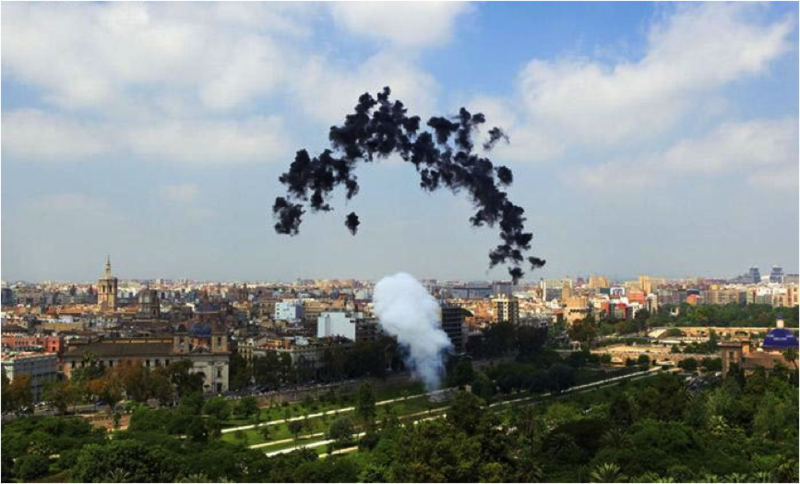 But eventually the idea progressed to this final version where the true degree of danger involved is removed and the power is transferred to Meireles. Shibboleth is a Hebrew word with multiple meanings, wheat spike, river, and olive branch, but beyond that it is a symbol of a strong cultural identity, since knowing how to pronounce it can indicate belonging or exclusion, or in the case of the biblical story, it can mean life or death. Being the first Latin American artist to be invited to work in the Turbine Hall, Salcedo felt strongly about making a piece which represented her personal perspective as a Third World person in the First World. Salcedo created a huge crack in the floor of the Turbine Hall. Breaking, penetrating, and invading the space. She said, “I think the space defined by the work is negative space, the space that, ultimately, Third World persons occupy in the First World” (Doris Salcedo, October 9, 2007). The work reveals a division that many people would rather ignore, an abyss between two worlds that do not touch and is a comment on the right wing European’s insistence that immigrants represent the loss of cultural heritage. Salcedo’s violent and bold action of creating a crack in the floor of the Tate Modern creates an impact on the viewer and leaves an important message, and even when the crack is filled there is a scar to show that this struggle continues. While some works of art have survived thousands of years others are as fleeting as a shooting star. 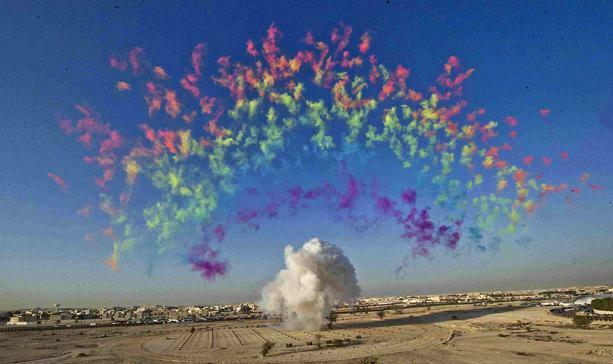 A master of the ephemeral, Chinese artist Cai Guo-Qiang uses the sky as his canvas and gunpowder as his paintbrush in his staged firework performances which can take place in day or night. 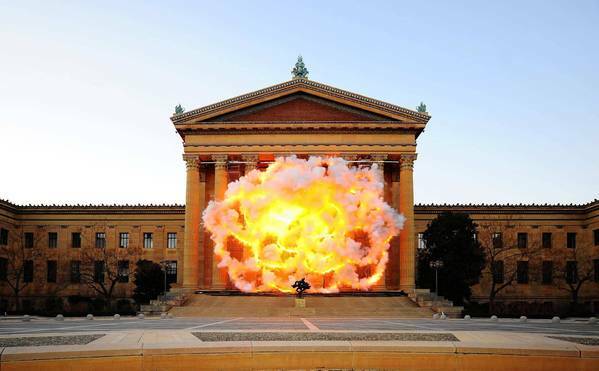 Fallen Blossoms, Philadelphia Museum of Art, 2009.